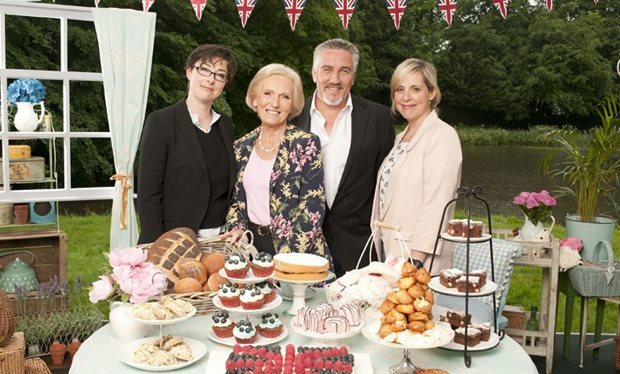 Why the “Bake Off” story might interest CEOs working through, or negotiating, their earn-outs…. …and that’s because, according to the Financial Times, “Mr. McKerrow had an incentive to maximise the deal: together with Anna Beatie, his co-founder of Love, he is said to be on an earn-out deal with revenue targets to reach the full value of the acquisition deal with Sky made in 2014”. If you were on another planet last week or simply have no interest in TV programmes about cakes, you won’t know that there has been a Brexit-sized kerfuffle about a hugely popular television programme called “Bake Off” which the BBC has lost to Channel 4 who agreed to pay substantially more for it. The subplot about the earn-out is interesting because it highlights particular leadership behaviour which manifests only during earn-outs. I have advised CEOs on these issues, have observed their behaviour, that of their boards and teams and that of the leaders of the acquiring companies. Earn-out deals are structured to incentivise the management team of the acquired company, usually across a two or three year period, based on a percentage of profits after “add-backs” i.e. after adding back costs for reasons to do with “fairness”. Unsurprisingly CEOs and other team members included in the earn-out become obsessed with three things: revenue, costs and add-backs. They tend to focus on short-term performance and not on building capability for the medium-term. Why would they do otherwise? The purchase price agreed in Sale and Purchase Agreements (SPAs) is based on a stab at the future value far beyond the earn-out term i.e. x times EBITDA or y times revenue or whatever formula is appropriate for the relevant sector. But since CEOs are usually not incentivised to build capability acquirers may be overpaying for the first three years. If acquirers incentivised CEOs on building capability as well as on performance, then everyone would have a less stressful earn-out; there would fewer rows with co-founders, with the acquiring company and with those team members not incentivised. They might even generate more revenue because everyone feels that they are on the same team. Would this have led to a different outcome at “Bake Off”? Probably not, since the issues are complex involving a mix of state (BBC), semi-state (Channel 4) and private sector (Love Productions) factors. Nevertheless, no-one can be sure what the outcome might have been had the earn-out package included a medium-term capability building component. But that’s conjecture. What isn’t conjecture is that, in my experience and from observation, earn-out deals end with some or all parties “in tears” for one reason or another. I suspect that if leaders gave each other permission to behave differently, they could avoid these, and generate more value for all over a longer period. What’s holding you back from getting the NED roles you want? Posted on September 26, 2016 by Ciaran Fenton. This entry was tagged bakeoff, CEO, earnout, leadership. Bookmark the permalink.